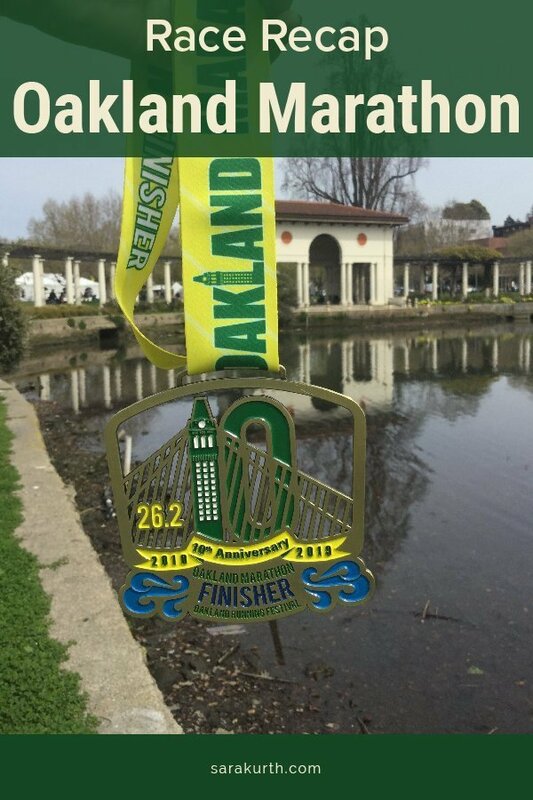 At the end of last year’s Oakland Marathon, I said it was kinda bittersweet because it was likely my last Oakland Marathon. They had done several things in the weeks before the race (and on race day) that showed so much disrespect for runners. And yet, here I am, again doing the Oakland Marathon. The race was transparent with the negative feedback they got from runners (I swear it wasn’t just me with issues) and promised to address them. They hired a local representative who seemed more invested in the local community (the race company is based in Baltimore and even in the race’s best years, they don’t seem to have any real interest in Oakland or the Oakland running community). Plus, I’ve been a coach and pacer for my running club’s training program and many of the people I’ve been running with for months were running. And selfishly, it fits well into my training. I’m doing an ultra in April and Oakland fits perfectly into my training plan as a training run. 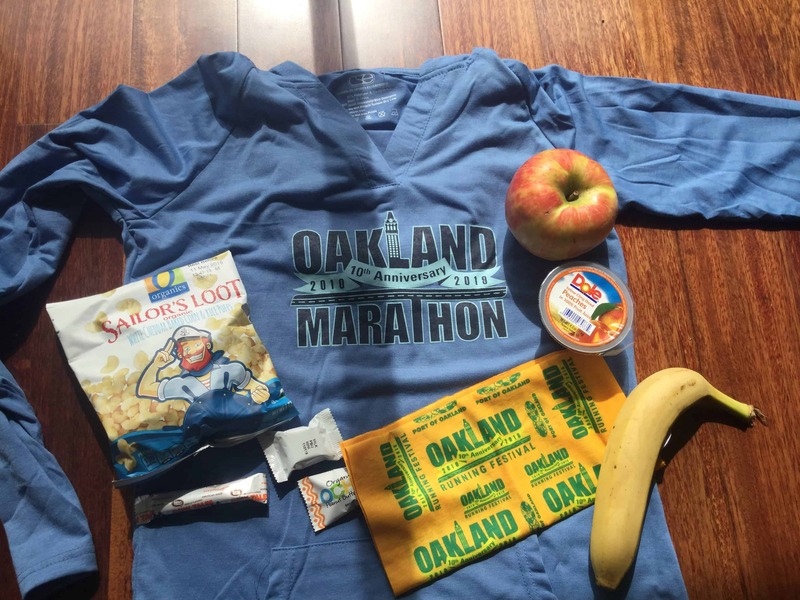 I could either do a solo 26-mile run or do Oakland. So here I am, giving them another shot. As the pace group leader for the 5-hour group, I have only one goal – to hit 5 hours. I get so nervous when I pace. I know I can comfortably run a marathon in 5 hours. And I ran longer than 26 miles just last week, but there is just something about pacing that gets me nervous. 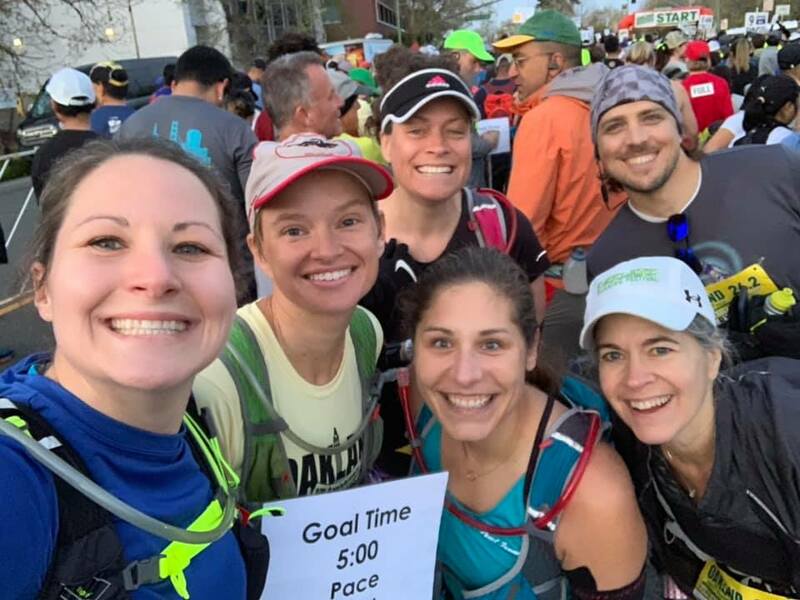 I enjoy pacing, especially when I’m pacing slower groups (which usually means I’m with many first-time marathoners – I love helping them through race-day), but I also know things can happen in a marathon, even when running at a comfortable pace. If something goes wrong, it won’t just impact my race, but those running with me. That would make a bad race that much worse. I live in Oakland and one HUGE upside of the Oakland Marathon is the start line is less than a 10-minute walk from my front door. The single most convenient race start ever! This entire training cycle has been unusually windy and rainy. My training group has done soooooo many long runs in the rain! I was especially concerned about the potential for wind. This year’s course is on the Bay Bridge, which is great, but the bridge can be miserable on a windy day. But race day was perfect for running. Mid60s, light breeze, hazy sun. 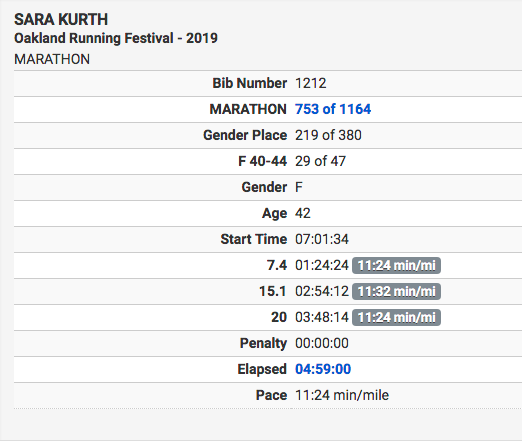 The Oakland Marathon course did a few random loops around downtown, ran through Chinatown, ran through random warehouse/unincorporated areas, past the (super-smelly) water treatment plant, went out-and-back on the Bay Bridge, then through random neighborhoods to the finish. They really pushed the ‘run the Bay Bridge’ angle in the race marketing. Going into race day, I wasn’t overly impressed with the idea. I’ve run the bridge several times before so I thought it would be 1) underwhelming or 2) too crowded with runners going in both directions on race day. Runners were spread out by the time we hit the bridge and running it actually made the course go by faster. The bridge is over 6 miles out and back (but it really doesn’t seem like it). So we hit the bridge at mile 11(ish) and the next thing I knew we were done with the bridge and were at mile 18. The bridge is a gradual incline (on the way out) and is a gradual decline (back). The 3-mile gradual decline gave me a bit of an energy boost. Other than the bridge, the course (as you maybe can tell based on my less-than-glowing summary above) gets a thumbs down. Soooo many turns downtown. A few random hair-pin turns. We ran a long (2ish mile) section on Mandela Parkway three times. It’s a perfectly nice road, but doing the exact same thing three times was a bit much. And while the bridge was great, the turn around at the end of the bridge seemed especially awkward. There is a little tourist area/vista point at the far end of the bridge on Treasure Island, but we didn’t head there. We got to the end of the bridge where there was a folding table (that I assume once held water) and we ran around the table. It was a very tight turn and was a very unceremonious end to what was the centerpiece of the course. 4.59.00 was my official chip time. I don’t love being a minute off, but I need to cut myself a little slack. After running for 5 hours, 1 minute off!? But I also know I slowed down a bit in the last few miles since I’d been running just over a minute fast. I hate it when pacers do that, but I just couldn’t seem to dial into the right pace. Even with my slow down, it wasn’t too bad and I know I’m being too hard on myself. Ultimately, I felt great throughout the whole race, and the people running with me did great – which is the whole point of being a pacer. And if I’m going to be off, I’d rather be a little too fast, than too slow. My 5-hour pace group was a larger group than I sometimes have. As is often the case when pacing, I didn’t have many runners stay with me the whole way. A few leap-frogged with me – running with me for a little while, then either speeding up or slowing down, then regrouping with me. Several of my pacees from the running club ran with me a lot of the way. It was great to see them running strong on race day. Many in my group were still feeling strong around mile 25 and I talked them into finishing faster (As I told them, it was time ‘I push my baby birds out of the nest’). I rarely have to pee on the run. In part, I’ve simply trained myself not to go, and in part, I’ve gotten pretty good with fueling and hydration to prevent it. Starting about 5 miles in, I seriously had to pee. While it would have been annoying, I could have managed a fast potty stop while pacing. But I powered through without a stop. Oakland had so many aid stations! And they were well stocked and well-manned aid stations at that. I remember reading they would have GU at 2 or 3 of the aid stations. Instead, they had GU, GU blocks and potato chips at pretty much every other aid station, and there seemed to be aid stations about every 2 miles. The mile markers were in the right place this year (or at least they weren’t so far off as to noticeably mess with pacing). That should be a given, not a thing to celebrate, but I’ll celebrate anything that allows me to pace by anything other than dead reckoning (like I did last year). 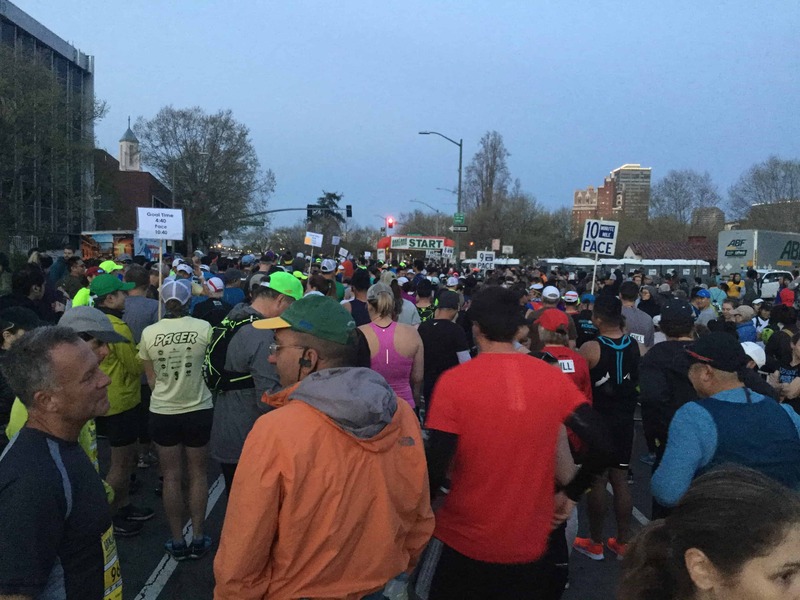 Every year, the race tries something different with where and how the half and the full runners meet. It’s often a bit awkward for somebody. Either the fastest marathoners come on the slower halves, or vice versa. This year was the smoothest merge I’ve experienced at Oakland. We merged around mile 22 (on one of our many outings on Mandela Parkway) and the full runners came up on the half runners that were running pretty close to our pace. And The Finish Food Situation? I was very vocal about my displeasure about the race running out of food at the finish last year. They apparently had enough, but didn’t control the disbursement early in the morning so they ran out of food way too early when 5k runners started taking 3 of everything. Races short-changing slower runners (whether intentional or not) is one of my great running pet peeves. The race promised to do better this year. At a race sponsored event a few months ago, I told the local representative I would riot if they ran out of food again this year. They had PLENTY of food at the finish!!! I had my issues with Oakland last year, but I’ll give credit where credit is due – they listened to feedback and made changes. The Oakland Marathon is (mostly) back in my good graces. I really liked running the bridge, but I wish the rest of the course did a better job of showing off Oakland. Doing the same stretch of road three times wasn’t my favorite, and much of the rest of the course was either random loops of downtown or random loops of warehouse/unincorporated areas. I know they could do better. Immediately? 13-17 miles (I haven’t decided yet) tomorrow – the joys of ultra training.